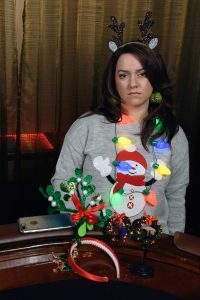 Grosvenor Casinos’ poker professionals faced off in a festive challenge to find out who could hold their poker face the longest, when presented with shockingly bad Christmas gifts. 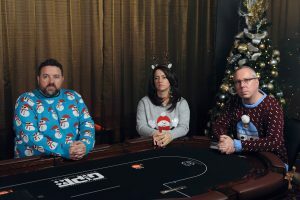 Joe Beevers, Jeff Kimber and Katie Swift, who have combined winnings of over $4 million dollars, were faced with ghastly gifts to find out who had the best poker face, while the other two did their best to break them. 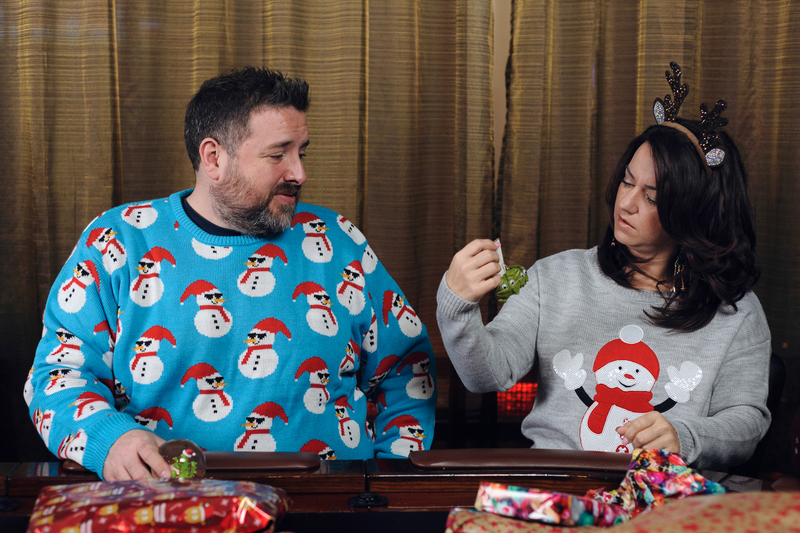 The selection of presents, each as bad as the next one, included Christmas pudding bin bags, brussel sprout ear rings a mistletoe hat, a questionable Christmas apron and less than stylish turkey hat. 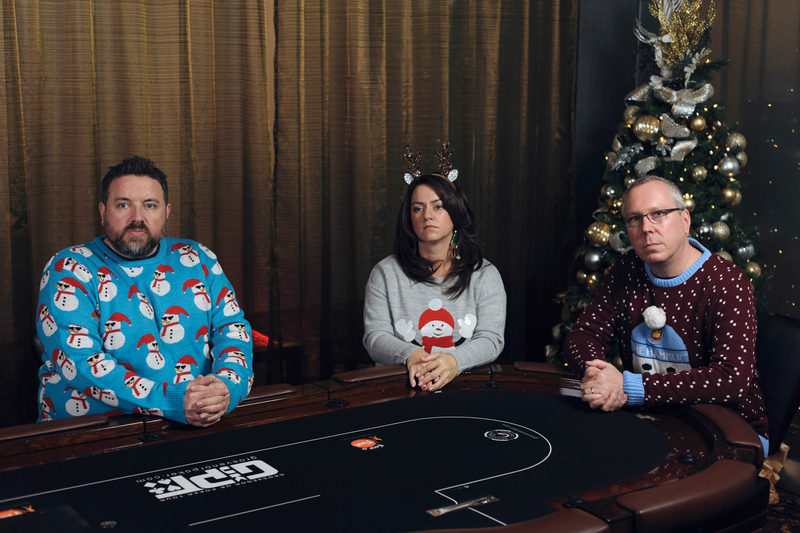 Taking place at The Golden Horseshoe Casino on Queensway London, the pros had varying levels of success. 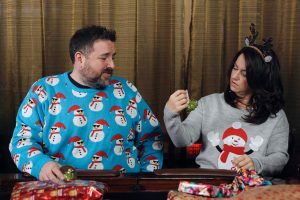 Joe Beevers lasted four seconds and had his bluff called due to a questionable Christmas apron. Katie Swift’s effort saw her reach nine seconds before she had to fold for her Mistletoe hat. 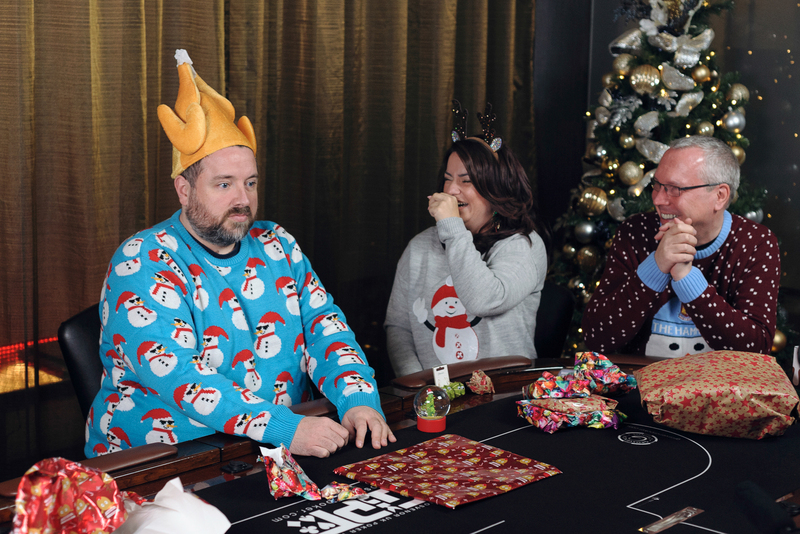 The winner of the challenge Jeff Kimber had a royal flush and proved unbreakable, even with a Turkey hat on his head.